If you are having trouble understanding the intricacies of commercial leases, you are not alone. After helping hundreds of clients secure the best lease structures possible for their needs, we at AQUILA understand how challenging it can be to decipher the industry-specific language they often include. 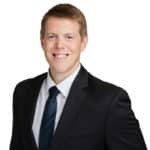 To assist our clients in their understanding of commercial lease structures, we’ve put together an overview of the common lease terms and points of negotiation that we see in Austin today. As leases vary between office, industrial and retail spaces, we’ve also outlined what is common in each of those specific sectors. If you would like to learn about the different types of lease structures, we have also written an article on the Typical Types of Commercial Leases in Austin. No matter what stage of the leasing journey you are in, it is important that you have a good understanding of what goes into a lease agreement. Most of these factors are negotiated well before a lease is ever drafted. During the letter of intent (LOI) process, landlords and tenants will discuss and negotiate each point of the lease through their brokers, and only when both parties agree on the terms is a formal lease document drafted. The term of your lease is an important factor in the leasing process, and luckily it is also relatively easy to understand. Any commercial lease you sign will be for a specific number of months, and makes you obligated to pay for the space during the entire period your lease is active. Because of this, it is important to be confident in your decision when deciding how long you would like to lease a space. The pros and cons of different lease terms depend on the type of company you are and how you want your expenses to be structured. Generally speaking, short term leases allow for more flexibility by not locking a tenant into a long-term commitment. Instead of being constrained to one building, a tenant can move around more frequently than a longer lease would allow. However, a short lease also means there is less certainty on rental costs in the future. The more often a tenant’s lease expires, the more they must renegotiate the terms and have a chance of being charged a higher rental rate. Short leases also generally do not offer as many concessions (tenant improvement dollars, free rent, etc) because the landlord has less time to recover those expenses. On the other hand, long term leases allow you to lock in your rental rate for a longer period. In Austin, longer leases also offer more concession options as landlords usually benefit more from securing a long-term tenant. However, from a tenant’s point of view a long-term lease does not allow as much flexibility since they are committing themselves to a space for much longer. The term you should be looking for really depends on your company’s specific situation. For example, a fast-moving startup with an unpredictable future and a short financial history would likely benefit the most from a short-term lease (in Austin, a short-term lease is anything ranging from one to three years). On the other hand, if a company has an established history and a good idea of what revenues will be in the future, they may prefer a longer lease (in Austin, this would be anything over five years). This may be one of the first points you negotiate as it drives many of the other factors included in the lease. However, in a market like Austin’s today, tenants do not get to choose their lease term, and landlords are pushing for longer leases. Lease term is not only important to the tenant, but landlords as well, so it’s important to determine early on if you and the landlord will be able to agree on a term that works for both parties. Base rent is the predetermined amount of rent the tenant must pay, regardless of what operating expenses or revenue was in any month. This rate is often quoted on a square foot per year basis, meaning that a 10,000-sf tenant paying a base rate of $20/sf will be paying $200,000 a year in base rent. While this may seem simple at first, it does get more complicated when you start to really look at the details. In commercial buildings, there is a difference between rentable square feet and usable square feet, and this difference has to be clear for you to truly understand what base rent is. Usable square feet is the actual amount of square feet the tenant will occupy to conduct business. If you think of an empty office, everywhere you can walk in that space falls under usable square feet. This includes offices, shared work areas, kitchens, and restrooms located within the space itself. However, this square footage is not the number you should use to calculate your rent. Rentable square feet includes the total usable square feet, plus a pro-rata share of the building’s common areas. To calculate how much of the common areas should be included in a tenant’s rentable square feet, the landlord first finds the load (or add-on) factor of the building. The load factor is calculated by taking the building’s total rentable square feet and dividing it by the building’s usable square feet. This load factor is then multiplied by the tenant’s usable square feet to find the rentable square feet for the space. Rentable square feet is the number used to calculate rental costs. In Austin, most landlords market space by the RSF. For example, if our previous 10,000-sf tenant was leasing in a building with a load factor of 1.15, their rentable square feet would be 10,000 while their usable square feet would be 8,695. As you can see, a lot more goes into the base rate than you might first assume, and the intricacies of commercial leases do not stop there. The longer the lease, the more a landlord is exposed to inflation and rising rental rates in the market. If a tenant has signed a lease for $20/sf, but 5 years later the market average is $30/sf, what can the landlord do to keep rates close to market level without having to renegotiate leases every year? Many landlords require base rent escalations in their leases to help account for this issue. Escalations are used as a way for the landlord to incrementally increase the base rent annually to keep up with inflating market rates. Tenants can also benefit from escalations because it allows them to pay a lower base rent in the beginning years of the lease. Without escalations, the landlord would likely charge a high rate for the entire lease. There are a few different types of escalations, and they each have their own unique provisions. In this type of escalation, a predetermined increase in base rent is agreed upon by both parties in the negotiation process. Each year, the base rent will increase by this set amount, and will continue to do so until the term of the lease is over. In Austin, these types of escalations are usually between $0.50 to $1.00 per square foot. Similar to a specific amount of escalation, a percent escalation is a predetermined percentage increase in base rent. Each year, the current base rent will be increased by the percentage agreed upon by both parties. Most percentage escalations in Austin are generally between 2% to 3% annually. Indexed escalations introduce a little more variability into a tenant’s rental rate because they do not increase by a predetermined amount. Instead, the escalation follows an index (usually the Consumer Price Index) and increases based on the amount of the index. Interestingly, indexed escalations can also lead to lower rent if the index being used sees a decrease from one year to the next. Typically, this type of escalation is only used in large and complicated leases, so the specific terms will vary case by case. Owning and operating a building is not cheap, which is why landlords often choose to pass at least some of the expense on to their tenants. As we mentioned above, different types of leases treat op/ex in different ways, but, regardless of the lease structure, op/ex is always something worth giving attention because it can be a significant portion of your overall cost. As with base rent, op/ex is calculated based on a tenant’s pro-rata share of the building’s rentable square feet. Like base rates, op/ex is quoted on a square foot per year basis, meaning that our 10,000-rentable square foot tenant would be paying $150,000 per year if operating expenses were $15/sf. To learn more about what operating expenses are and what’s included in them, read our article What Are Commercial Real Estate Operating Expenses (Op/Ex)? Things start to get complicated when expense stops, also known as base years, come into play. In a gross lease, since the landlord is responsible for the operating expenses of the building, they prefer some insurance to protect against rising taxes or a tenant using an abnormal amount of utilities. To do this, they implement a base year stop that will stay in effect for the life of the lease. After the first year of the tenant’s lease, the landlord will record what operating expenses were and inform the tenant of the costs they incurred. Over the rest of the lease, the tenant becomes responsible for any operating expenses in excess of the level set in the base year. For example, say the base year’s op/ex is set at $10/sf. In the following year, if op/ex reaches $15/sf, the tenant is obligated to pay for the $5/sf difference per the terms of their lease, on top of their gross rent. This arrangement protects the landlord from having to pay unexpected large increases in op/ex, and allows the tenant to only pay op/ex if they exceed the base year stop. As we mentioned above, including an expense stop in a gross lease makes it very similar to what can be achieved with a NNN lease. Market conditions will dictate which of these is more common. We all know nothing in this world is truly free, and the same can be said about free rent. While it can be a fantastic benefit for both the tenant and landlord, the intricacies and reasons behind offering free rent need to be looked at a little closer. Free rent is basically what it sounds like; the landlord offers the tenant a specified number of months to not pay rent. Also known as abated rent, these free months are normally given in the first few months of the lease, but can also be spread throughout the term. Free rent can be a little misleading, however, because it often does not mean the tenant is paying nothing for those months. In most cases, it is the base rent that does not have to be paid, while operating expenses and other costs not associated with the base rent are still paid by the tenant. So why would a landlord offer a tenant free rent? Moving costs related to relocating to a new space can be a big expense for tenants, one which can potentially influence them to stay in their current space. To combat this, especially if a building has a lot of vacant space, a landlord may choose to make the first few months of a lease less expensive for a tenant to encourage them to sign a lease and relocate. The biggest downside of free rent from the tenant’s perspective, however, is that the landlord may ask for a higher rental rate than if no free rent was offered. While this is not always the case, it is up to the tenant to decide if the benefit of the months of free rent at the beginning of the lease outweighs the potentially higher rental rate throughout the remainder of the lease. Do you want to renovate your new office space to better suit your company’s culture, but don’t want to have to pay for the entire cost out-of-pocket? That is where negotiating a tenant improvement allowance can come into play. Tenant improvements (TI) are a predetermined construction allowance given by the landlord to the tenant, usually quoted on a per square foot basis. This allowance is used by the tenant to make improvements to their newly-leased space or to an existing space where the tenant has extended their lease term, whether it be something as simple as new paint, to something as complex as a complete remodel. Read the case study to see how AQUILA was able to leverage Capital Factory’s renewal to get them the TI allowance needed to meet market demands. For the tenant, TI really can be a great way to make the space perfectly fit their needs without having to completely pay for it out of their own pockets. However, as with many things in commercial real estate, TI is not as straightforward as it seems. TI is something that must be negotiated into a lease, which can sometimes be a challenge depending on the market. When demand is high and landlords are having no trouble filling vacant spaces, it may be harder to negotiate TI into your lease. The landlord also typically gets a say in what you can use your TI allowance on, so it will likely not cover all of your renovation expenses. In a market with low demand, a landlord with a lot of vacant space may prefer to agree to a hefty TI allowance to incentivize tenants to lease space rather than leaving the space vacant. In addition, some landlords offer large TI allowances even in markets with high demand in exchange for tenants signing longer term leases. While it may be a large out-of-pocket initial expense, being able to sign a tenant in to a long-term lease at favorable rates can end up being better for the landlord in the long run and allow the tenant to minimize their upfront costs. If you are considering making improvements to your new space, it is well worth your time to get an estimate of what the improvements are likely to cost before going too far in the negotiation process. Hiring a project manager can be a big benefit in this process, and typically the cost savings they bring to a project far exceed the cost to hire a project manager. The Americans With Disabilities Act (ADA) states that tenants and landlords are responsible for assuring the building is accessible to disabled persons. This includes not only the building’s exterior, but common areas and your own space as well. While most modern buildings are built with ADA in mind, older buildings may require these improvements to be made. What this means for tenants is that you could potentially be made responsible for significant improvement costs. If your lease does not specify who is responsible for which expenses, you could find yourself having to pay the full cost of improvements in your space, on top of a pro-rata share of the cost to improve common areas. To avoid these costs, there are several clauses that we recommend negotiating into your lease. If you are unable to get the landlord to agree to those terms, make sure that no common area ADA improvements can be included in your op/ex. If the building does require major improvements, you do not want those expenses to be passed through to you. However, the simplest solution is to ask the landlord to guarantee the building is ADA compliant before you ever sign your lease. By doing so, the likelihood of having to pay for major improvements is much lower. No matter the length of your lease, there is always a possibility that you will want (or need) to evacuate the space prior to your lease expiration. The landlord will have a lot of say in what the tenant can do, so it is very important to think about these provisions before you sign your lease. We recommend asking for these provisions in the initial request for proposal. By doing this, the tenant is letting the landlord know these provisions are extremely important. Subleasing, or turning over your lease to another tenant, is a great option for a tenant who is unwilling or unable to remain in their lease. By doing so, the original tenant gets to move elsewhere without having to pay full price for a space they are not using, and the new tenant gets to move into a space that they otherwise would have had to wait for, often at a reduced rate. However, subleasing is not as simple as handing over your lease and walking away. For starters, the landlord has the power to decide whether you are even allowed to sublease at all. Landlords generally do not like subleasing, and may be hesitant to agree to it. If you did not negotiate a favorable sublease clause in your original lease, your sublease rights may be limited. Even if you can sublease, that does not mean you will be completely free from your obligation. You are still responsible for the payment of the rent until your lease expires, meaning if the new tenant stops paying you must continue to fulfill your lease obligation. Additionally, most tenants looking for subleases are generally not willing to pay the full asking rental rate, so it is likely that you will still be paying a portion of the rent even after you move out. StrongBox’s Stonelake 6 sublease was a prime example where the ability to sublease space allowed for a creative solution for a changing company. Read the case study to see how AQUILA was able to craft that met their new size requirements and save the client significant money. A termination option is another provision you should keep in mind when considering new space. If a landlord is set on leasing a space for 10 years, but you are only willing to commit to five, you could ask for a termination option in your lease that would allow you to cancel the lease in five years. Landlords are typically reluctant to grant these, but it is an option worth considering. Termination options are great rights to have in a lease, but there are some drawbacks you need to consider. Because TI and commissions are paid at the beginning of the lease, but intended for the entire lease, the tenant must pay a termination penalty, which would include paying back the “unused” amounts that result from the portion of the lease terminated. Depending on the size of the space and the term of the lease, this can be a big expense for a tenant to pay. Termination penalties can also include payment of free rent granted to the tenant as well as perceived downtime resulting in a termination. A renewal right gives the tenant first say as to whether they would like to renew their lease for another term. Rather than running the risk of losing the space to another tenant, this clause gives the current tenant security that they will have the option to stay in the same suite when their lease expires. For example, if an adjacent tenant is interested in expanding into your space, the landlord may be inclined to offer your space to them rather than letting you renew your lease, especially if that tenant occupies more square footage than you. With a renewal option, the landlord must offer the space to you first, regardless of any other interested parties. Typically, the length of term on the renewal option is between three to seven years, and the rental rate is at current market rent at the time of renewal. Given that “market rent” is subjective, and that there are other terms subject to negotiation during the renewal process, it is a good idea to always use a tenant representation broker when working on a renewal. An expansion option is basically what it sounds like; it gives the tenant the first say as to whether they would like to lease more space. If your company is growing, the time will come when you must decide whether to keep the same amount of square feet you currently have, or expand into more space. For tenants hoping to expand, this is an option you should consider. Two forms of expansion options that are commonly used in today’s market are Right of First Refusal (ROFR) and Right of First Offer (ROFO). These essentially prevent other tenants from signing a lease on expansion space in the building before you are presented the option. The main difference between the two is the Right of First Refusal is typically on vacant space in the building and the Right of First Offer is for any space that comes available in the building during the tenant’s term. Learn more about expansion rights in our article 3 Types of Expansion Clauses in Commercial Leases: Understanding the Pros & Cons. In some leases, a relocation clause is inserted that allows the landlord to move you to a different suite if it is “comparable” to the space you are currently in. If you’re concerned that your definition of comparable is not the same as the landlord’s, you may want to consider having any relocation clauses taken out of your lease during the negotiation process. This is especially true if the location of your suite in the building is important (being on the first or top floor, for example). Because moving can be expensive, requiring the landlord to cover any moving expenses can be a big cost saver in the event of relocation. This includes any stationary or collateral you would have to get reprinted for a relocation. The same goes for any renovation costs that might be incurred, as the new space may take some work to make it comparable to your previous space. In addition, you will want to make sure your lease specifies that you will receive the same rent, amenities, and a comparable square footage to your original suite. All of this is to say that what you negotiate into your lease at the beginning can have a major impact on what happens while the lease is in effect. 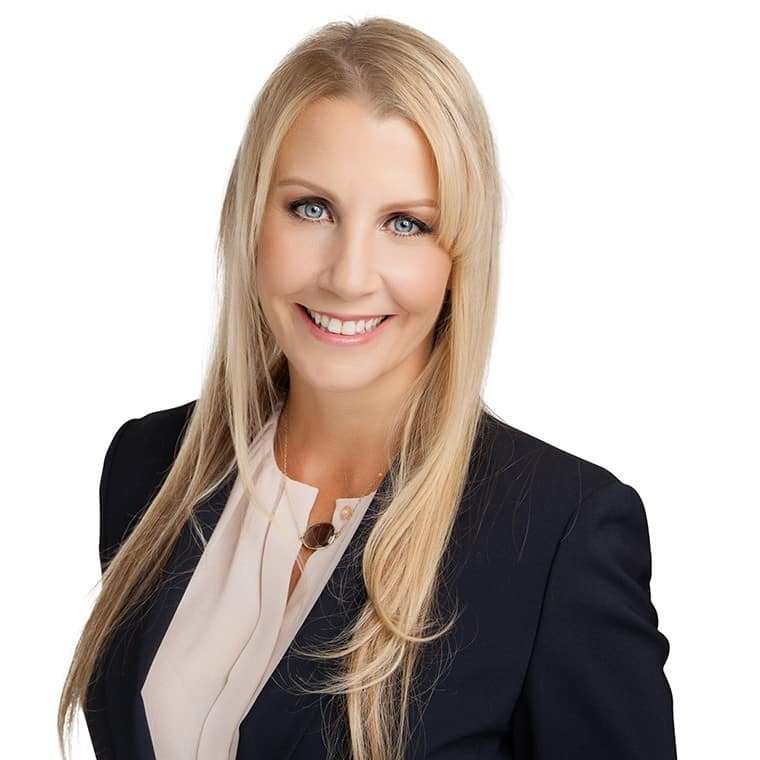 A good tenant representation broker will advise you on what clauses could cause problems down the road and how to minimize any risks associated with those clauses. Parking for employees is a big deal in Austin, especially in the high-density area of downtown where monthly rates can demand $200 or more per spot. Because of this, parking can be one of the more important details when negotiating a lease in Austin. Parking for commercial spaces is quoted as a ratio of spaces per 1,000 sf. For example, if the landlord were to offer a ratio of 4:1000 to our 10,000-sf tenant, the tenant would have 40 parking spots to offer employees. This is an important point of negotiation in your lease because, if your parking allotment is too little (or you did not negotiate parking at all), your employees could be stuck with no place to park. These ratios and costs can be leveraged in a similar way to TI and free rent, with landlords possibly offering a higher ratio or lower initial parking costs to make a space more appealing. To learn more about parking in Austin and how it relates to commercial leases, see our special report on parking in the CBD. Or take a look at Five Creative Parking Solutions for Tenants in the CBD, to find ways to work around the issue. 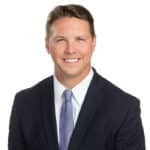 Having the market knowledge and experience to successfully navigate and leverage these negotiation points and concessions is one of the many benefits of hiring a tenant representation broker to assist you throughout the entire leasing process. What Lease Terms are Common in Austin? Now that you understand what goes in to a lease, we can start looking at common lease structures we see in Austin today. Because leases can be vastly different depending on the type of building, we have broken the overview down in to office, warehouse, flex and retail spaces. The Austin office market is almost completely based on NNN leases, so tenants will be paying a base rate in addition to their pro-rata share of op/ex. Rental rates are typically quoted on a per square foot per year basis, and can be vastly different depending on the submarket. Read our blog post How much does it cost to lease office space in Austin, Texas? 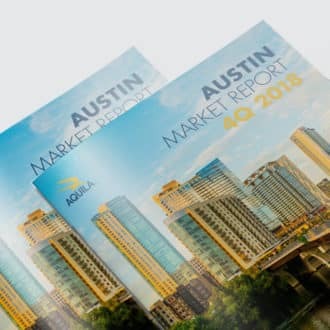 Or download our Austin Office Market Report to learn more about current rental rates in the three major submarkets. Lease terms for office space in Austin are mostly decided on a case by case basis, but there are some general rules you can apply. Newer buildings are usually going to require tenants to sign leases in the seven to ten year or greater range, while older buildings are more likely to be willing to accept shorter terms. Developing a new building is a risky investment, so landlords want to make sure they limit vacancies as much as possible once development is complete. TI allowances also vary on a case by case basis. Generally, if a new tenant signs a long-term lease, the landlord will be more likely to offer TI than if it was a short-term lease. If a tenant is signing a renewal, however, it is less likely that they will be offered TI. The same can also be said about free rent, since the tenant will not be experiencing any moving costs if they are staying in the same space. On average in Austin, you can expect $40 – $60 in TI for space in shell condition (new buildings), and $10 – $20 for second generation spaces. It really depends what the tenant requires and what the landlord is willing to give. Parking is another aspect of office leases in Austin that varies depending on where the building is located. In the CBD, parking is so limited that landlords can charge $200 or more a month for a single reserved space, and not much less for an unreserved space. In office buildings further away from downtown, such as those found at The Domain, parking is currently free for tenants. Warehouse leases are a little different from office leases. 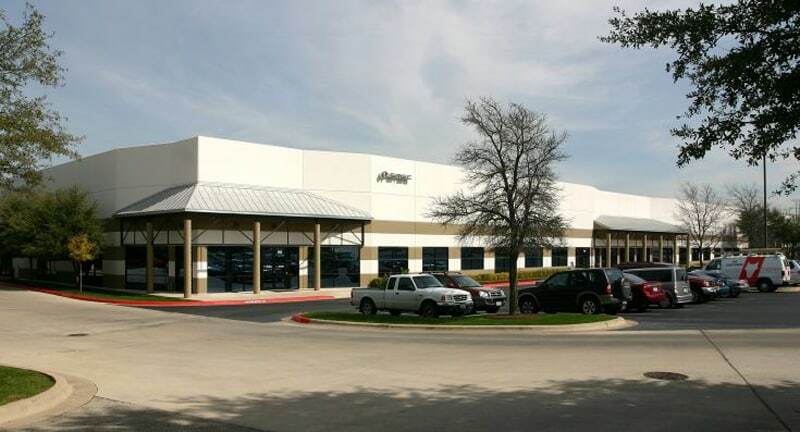 Industrial rental rates are commonly quoted on a monthly basis in Austin, rather than yearly. And while most industrial leases in Austin are on a NNN basis, don’t be fooled if you see a base rental rate that seems extremely low. The biggest difference between warehouse and office leases is in the op/ex. For industrial buildings, the tenant is often responsible for managing the HVAC, electrical, and janitorial services. Because one tenant in a warehouse might be a storage facility using minimal electricity, while another tenant in the same building might be a manufacturer using a higher than normal amount of electricity, each tenant is charged for their individual expenses rather than distributing the cost across all tenants equally. Lease terms for warehouse spaces average a little less than those for office; usually somewhere between three to seven years. While free rent and TI allowances are not uncommon, they may take a little more negotiating to obtain and may not be as generous as those found in office leases. As for parking, it is less common to see landlords charge a monthly rate. While the number of spots a tenant is allowed to use is still calculated by a ratio, the spots are given on a first-come, first-served basis. Because industrial spaces generally have lower employee density than office, parking ratios are usually lower as well. Flex space, sometimes called value office, also falls under the industrial category. However, it is typically smaller, shallower, and has a lower clear height than most warehouses. This property type is called “flex” because some tenants use it for office, some for warehouse, and some for a combination. Flex leases are mostly the same as warehouse leases, but with the office component it also shares some similarities with leases for office space. 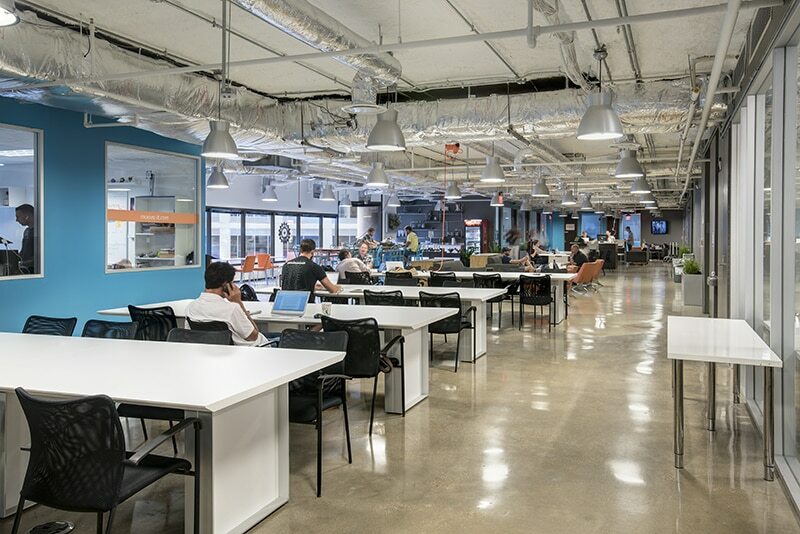 Like most leases in Austin, flex space is almost always leased on a NNN basis. The rental rate will be a little higher than a warehouse, but not quite as high as it is for office, and is often quoted on an annual basis. As for op/ex, most flex leases follow the same form as warehouse leases; the landlord is only responsible for maintaining the structure and the exterior, while the tenant takes care of the HVAC, electrical, and janitorial services. All of this can be negotiated, of course, but most landlords will do their best to pass as much of the maintenance on to the tenant as possible. Lease terms and parking for flex space are mostly the same as warehouse, but TI allowances are often a little more generous. Because the building will usually have an office component, improvements are more expensive than simply finishing out an empty warehouse. Retail leases in Austin are also mostly on a NNN basis, although some properties in desirable locations may have tenants sign a percentage lease. For example, a restaurant signing a lease in the heart of The Domain might be signing a percentage lease so the landlord can share in the profitability that the location offers. TI allowances are not that different for retail leases. First generation leases requiring extensive renovations to the space will often see TI between $25 – $50 per square foot, while second generation leases may occasionally receive TI between $5 – $15 per square foot. The structure of free rent is also similar to what is found in office and industrial leases, but retail tenants rarely receive free rent in Austin’s current competitive market. For retail leases, parking is given on a ratio of the space’s square feet. The most notable difference is that different types of retail space are required to have different ratios depending on where they are located and what type of business is being operated, and the city plays a big role in deciding what those ratios need to be. As density continues to increase, we may see parking for retail spaces in Austin begin to change. Need Help with Your Lease? As you can see, commercial real estate leases are complicated agreements. While it may be a lot to take in at first, understanding how leases work and what can be negotiated can help you get the best terms possible for your needs. Luckily, you do not have to go through this process alone. If you are ready to move forward in the leasing process, or just want to learn more about commercial leases in Austin, contact our tenant representation team today.